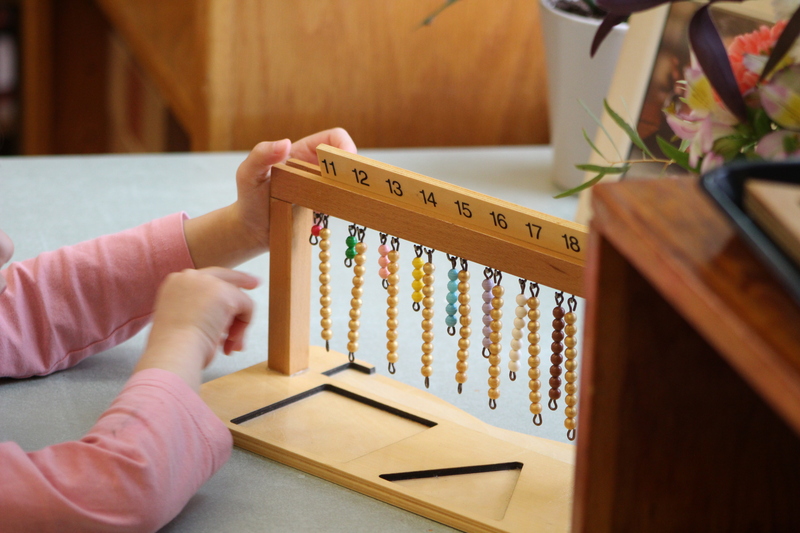 In a Montessori School where everyone learns at their own pace why does it matter if a child is experiencing delays? It only matters if the cause of the delay is something more serious than developmental variability. If a delay has a developmental basis and all the child needs to thrive is to be given more time to mature, our system offers the built in flexibility of multiage classrooms. If a delay is not developmental it is our belief that educating the whole child is best accomplished by maximizing strengths and supporting weaknesses. It is precisely because of this emphasis that we want to have as much information as possible about a struggling child’s learning profile. How do you know a child is not just lazy, unmotivated, bored, or in need of a firmer hand with more structure? The first tier in our Learning and Support Model exhausts all of these possibilities. Our classrooms are filled with materials and experiences specifically designed to excite and titillate and our teachers are masters in the subtle art of getting children to work. It is our conviction, and a basic premise of the Montessori Method, that children have an innate desire to learn and to work. If, over time, a child has experienced this combination of his/her own innate desire, our curriculum, and our classroom environments, we hold that it is nearly impossible for him/her to be lazy, unmotivated, bored, or in need of a firmer hand. Will this information go in my child’s permanent record? In the second level of our model the purpose of any assessments and observations are for generating a Learning Profile and Learning Plan. Hopefully this will serve to maximize your child’s school experience. If we are able to create something that works well for your child it is in his/her best interest for this information to be a part of his/her permanent record. That said, in the second tier we are not labeling, diagnosing, or classifying. What if we exhaust the possibilities in the first and second level, my child is still not thriving, but I don’t want to take the next step and have him/her diagnosed and/or referred to the Ithaca City School District Committee on Special Education? That decision will be entirely up to you. We will of course, be available to guide and support you along the way. Will there ever come a time when my child can no longer be at this school? If a child’s needs cannot be met in a Montessori multiage classroom and the kinds of support that are needed for the child to be successful are not available, then we would work together to find an environment better suited for your child’s unique profile.